10) Get your account Verified. Listia offers several different types of verification, and the more you have the more comfortable buyers will be bidding on your auctions. 9) Refer your friend to Listia, your friend’s Mom, her brothers and sisters, their milkman, and the pet sitter. Don’t forget the garbage man…they like it when we “recycle.” And all those people will thank you later. 8) When you just got to have that item that’s ending soon or you’re just a little short in credits, you can always buy some credits. Sometimes spending money can end up saving you money because the overall amount paid will be less than what that item would cost elsewhere. 7) Complete special offers or save money with daily deals while earning credits. 6) Keep logging in to the site daily for some nice, random credit surprises. 5) Connect your account with Facebook and Twitter. It helps others see what cool things you’re giving away. 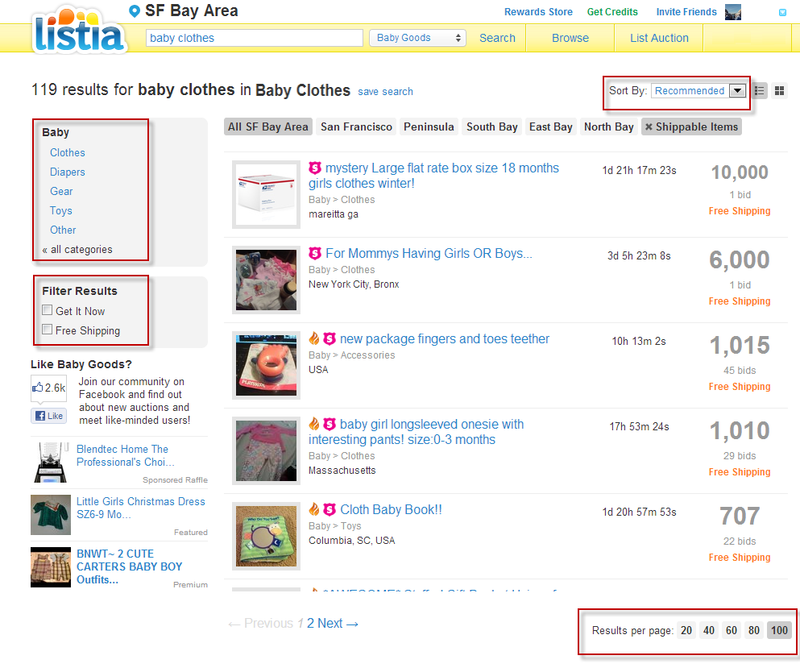 4) Share Listia auctions on Facebook for a small credit bonus, this can be done a couple of times each and every day. 3) Fill out trusted surveys to earn credits. 2) Help spread the word about Listia in your blog, web site, and forums. 1) The fastest, best way to earn a chunk of credits at once is of course to list more sought-after items and be very active on the site! You’ve earned all these credits and have nothing to spend it on? Check out the Rewards Store for some great deals on some popular items. Inside tip: there are going to be some extra awesome things put into the Rewards Store over the upcoming Thanksgiving Holiday weekend. So when you aren’t eating turkey check back hourly during the Holiday weekend for some fantastic deals! What’s your favorite way to earn more credits?